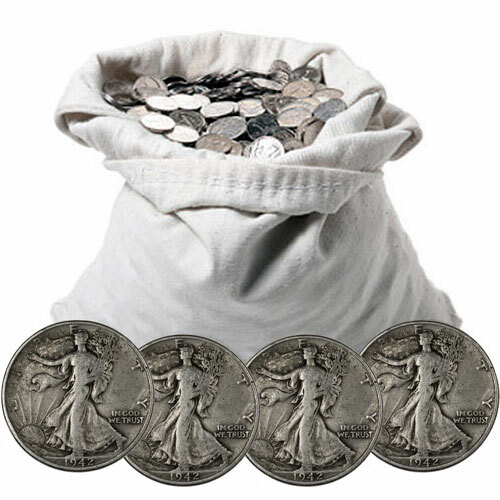 These junk silver bags contain $100 face value of 90% US Silver Walking Liberty Half Dollars. Each bag contains 200 walking liberty half dollars from 1916-1947 in varied condition. 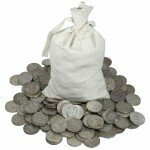 This means that every bag will contain approximately 71.5 troy ounces of pure silver. There are few coins from American history that are more prized than the 90% Silver Walking Liberty Half Dollar. Designed by Adolph A. Weinman, a student of sculptor and designer Augustus Saint-Gaudens, the Walking Liberty image is so popular that it lives on today on America’s official silver bullion coins. Weinman’s Walking Liberty design made its debut on the 90% Silver Walking Liberty Half Dollar coin in 1916. The coin was immediately lauded for its inspiring design and is considered one of the most important pieces from a golden age of American coinage. 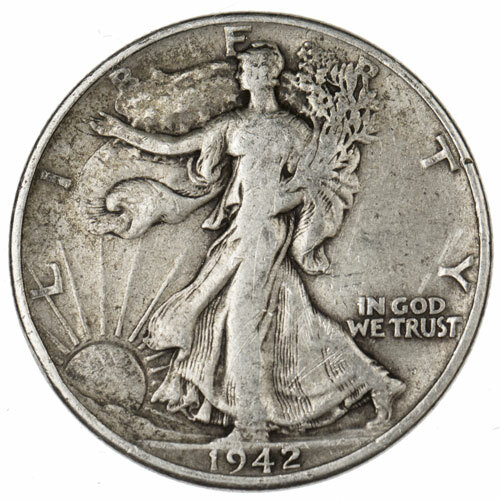 The Walking Liberty Half Dollars were minted from 1916 until 1947. Now, the Walking Liberty design lives on the obverse side of the Silver American Eagle. The latter coin is the official silver bullion coin of the United States. On the obverse side of the 90% Silver Walking Liberty Half Dollars is the image of Lady Liberty. Draped in the American flag, she can be seen striding toward the rising sun. In her left hand are olive and laurel branches, indicative of the civic and military power of the United States. Engravings include “Liberty,” “In God We Trust,” and the year of minting. 90% Silver Walking Liberty Half Dollars were produced by the United States Mint. 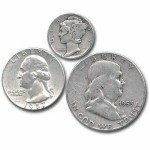 The Mint was established by Congress with passage of the Coinage Act of 1792. Since that time, the Mint has served as the official facility of the federal government. These coins are available from Silver.com in varied condition with numerous years of minting. If you have any questions about these 90% Silver Walking Liberty Half Dollars ($100 Face Value) or any other products before placing your order, simply call one of our associates at 1-888-989-7223. You can also reach a representative online trough our live chat or email.